Have you been considering different options for helping your troubled teen this summer? 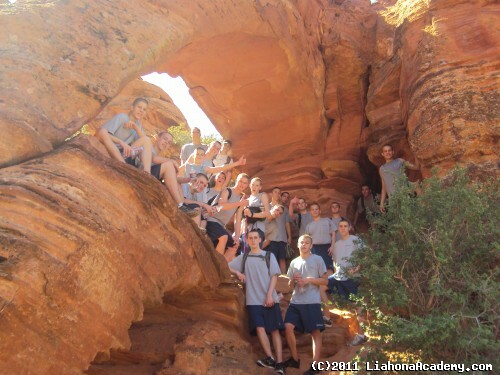 For anyone from Louisiana, one of the best options is a camp operated by Liahona Academy. Our facility is located in Southern Utah and has been providing effective help to hundreds of youths from across the country for many years. We have carefully refined our program and we are confident that your child will benefit greatly from their time with us. Please don’t wait to get this essential level of professional help if you have an adolescent who has been struggling. 1 - Group and Individual therapy - Both of these forms of therapy have proven effective in helping with many different problems and can be particularly impactful when used in conjunction. As your son goes through these forms of therapy, he will learn to come to terms with his problems while learning that he is not alone in facing these issues. 2 - Leadership by example - Our staff seek to make a difference in the lives of teens from Louisiana by providing them with positive role models who’s behavior they can emulate. We consider this a form of leadership by example and it has proven to be an incredibly efficient method of reaching out to struggling youths. 3 - Help succeeding in school - Academic difficulties are a common problem for any youth that has been dealing with behavioral issues. This can be serious, as poor performance in school will greatly limit the future opportunities your son has available. By addressing this issue immediately, your child will be able to improve tremendously. To bring about this change, we use small classes that rely upon extensive individual attention. This allows us to address any weaknesses and quickly bring about substantial improvement. In addition, our teachers are highly trained and specialize in reaching out to students who have been experiencing difficulties.